Residential Pool Services | We Make Backyards Beautiful and Fun! Making Backyards Beautiful and Fun! • Gerhart Pools delivers it! From the simple to the elegant,	swimming pool designs begin with you. Our job is to take your vision, add our experience and	creativity to it, and then build it in your backyard! landscaping, you can virtually jump into your pool and go for a swim before	we even turn over the first shovel of dirt! Water features are an expression of this	swimming pool builder artistry, adding uniqueness and beauty to the aqua-­scape. They appeal	to the senses with the sight and sounds of falling water relaxing your mind. One customer tells us that the combination of rock, pool, and waterfalls	provides her with a sanctuary that she retreats to year round for yoga	and meditation. Let’s position the swimming pool and water feature near the master	bedroom window to serenade you to sleep at night! Rocks are not your only option. We can build waterfalls into raised walls	that deliver a sheer sheet of water back to the pool. Sconces with trickles	or streams are available in a variety of shapes and figures such as the	always popular Lion’s head. An elevated spa with a simple spillover	is a very popular form of water feature. Bubblers, arching water spouts,	grottos, fountains, and statuary…all are available to accessorize	your pool and give it a distinctive look. Fire and water do not mix very well unless we are talking pools! 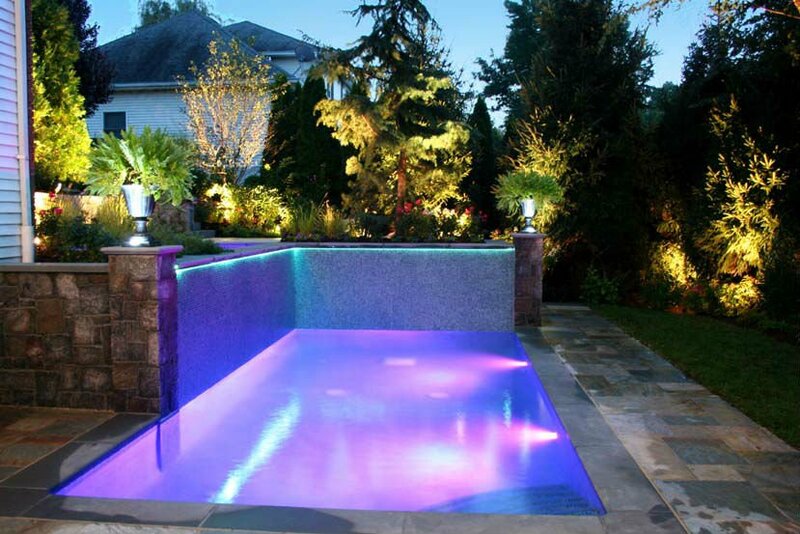 The element	of fire changes the entire atmosphere of your pool at night. With the	reflection of fire dancing on the surface of the water, your backyard	comes alive! Add to that the chorus of falling water and the beauty of lush landscaping…priceless! 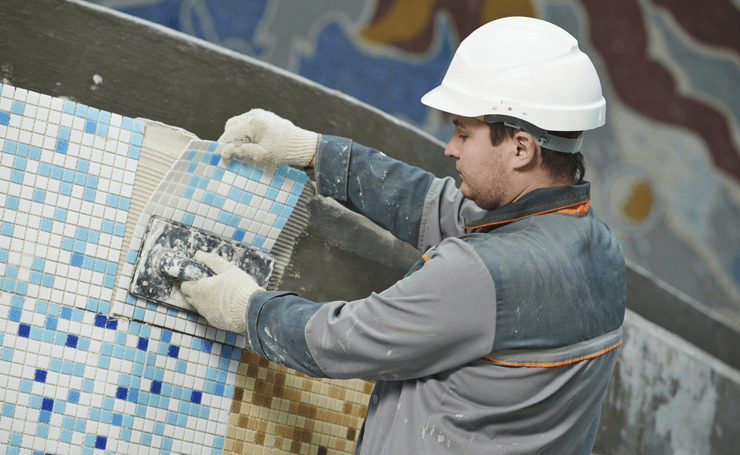 There is a host of other features to accessorize your aqua-­scape! 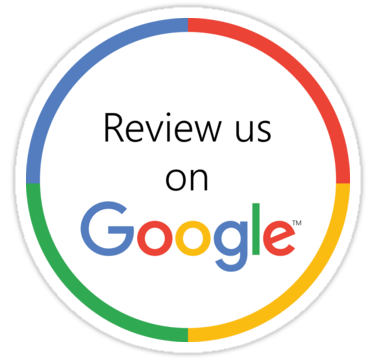 Call us and set up a design consultation and we’ll be glad to discuss	them all with you! 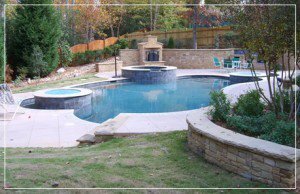 With servicing in Atlanta, GA: Call us today to start making your dream	pool a reality!